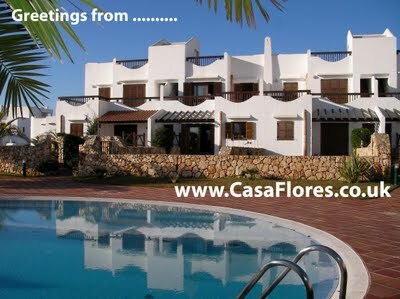 Casa Flores adds more holiday accommodation in Cala Egos, near Cala d'Or in Majorca. Following fantastic positive customer feedback from guests returning from great holiday vacations in Sarah & Andy Rosser's holiday rental apartments and villa's, their original property bought in 2005 providing 1 bedroom, 2 bedroom and 3 bedroom apartments for 2 to 8 guests; Andy and Sarah have added Casa Flores 2, a second holiday rental appartment on the same very popular Marina d'or 3 complex. Casa Flores 2 provides the same 1 & 2 bed apartments plus also 3 bedroom house/villa accommodation as their first holiday house, Sarah and Andy have paid the same attention to detail while fitting and furnishing the new house as with their first. Their websites (http://www.caladormallorca.eu/ and http://www.casaflores.co.uk/) have been updated to not only include details on the new holiday apartments, but also information on the area of Cala Dor, Cala Egos and also the island of Mallorca. Andy & Sarah can be contacted via their website (Holiday Enquiry) or have a look at some of their guests great feedback (Guest Testimonials).